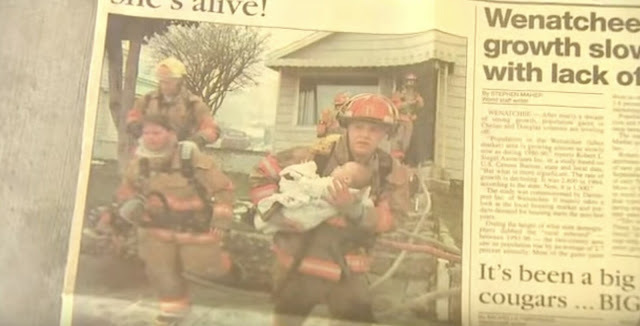 Mike Hughes was a captain with the Wenatchee Fire Department, Washington, 17 years ago when he was part of a team that responded to an emergency involving a house fire. When arrived on scene, he discovered a 9-month-old baby lying in her crib. Thinking fast, he snatched her up and got her to safety by handing her off to another fireman outside the house. Almost two decades later, he got an extremely pleasant surprise when he received a message from a high-school senior. As it turned out, the student had a fantastic proposition for him. Mike Hughes feared the worst when he was part of a firefighting team that got an emergency call to respond to a house fire. Not only was the house in a very bad way when he and his partner arrived, but the call over the radio also stated a belief that someone was in the house. With the knowledge that there might well be casualties, Hughes and his partner stormed the flames. Hughes himself expected to find someone, and so was taken aback when he discovered a 9-month-old lying in her crib. That baby was none other than Dawnielle Davison. For Hughes, the outcome of the event was a luxury he’s not used to being afforded in his profession. No one was hurt during the blaze and the recovery of Dawnielle was an obvious plus. 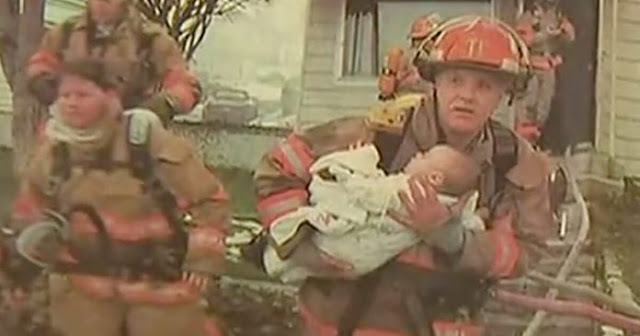 In fact, the operation stuck in his mind so much that Hughes searched online several years later to see what had come of the baby he rescued from the fire. He found Dawnielle, then in middle-school, on Facebook. Naturally, Hughes was completely right in his recollection. This forged a connection between the pair, with Hughes often attending her track events and crossing paths with her at the local store from time to time. And yet, even the now-retired firefighter couldn’t have anticipated being offered an invitation to Davison’s high school graduation. 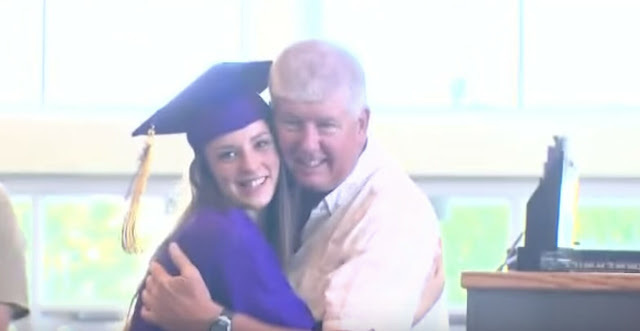 Who’d have thought that 17 years after pulling a baby from a burning building, Mike Hughes would be watching the very same girl walk across a stage on the way to collecting her high school diploma? It’s certainly a story that warms the heart! Firefighters everywhere, we take our hats off to you … you guys are true heroes! Hit the like button if you agree. What a great story about a bond that stood the test of time. If you, too, liked this then please give the story a share so more people can be inspired! Like Us On Facebook!, click here! His wife storms out of the house angrily and leaves him alone with their son. 2 days later, she gets THIS letter. This mother lost her child, because she made a mistake on Facebook. Keep your eyes open!